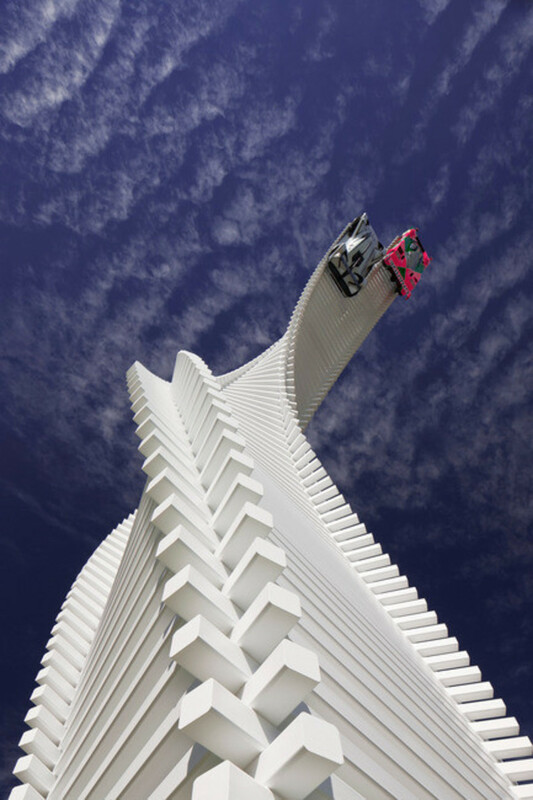 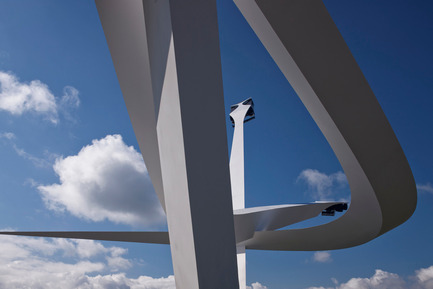 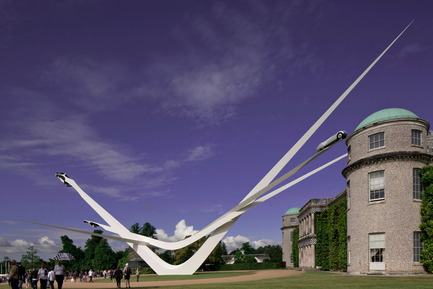 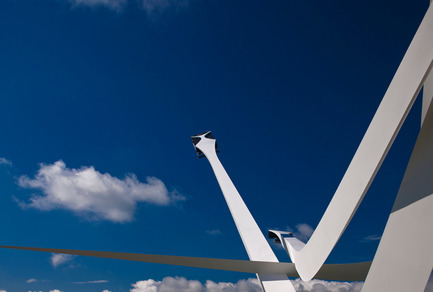 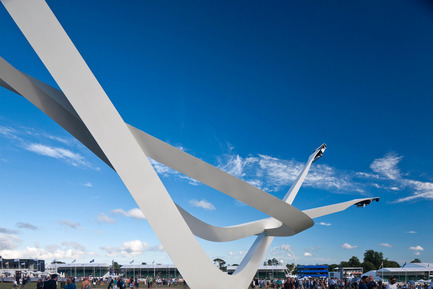 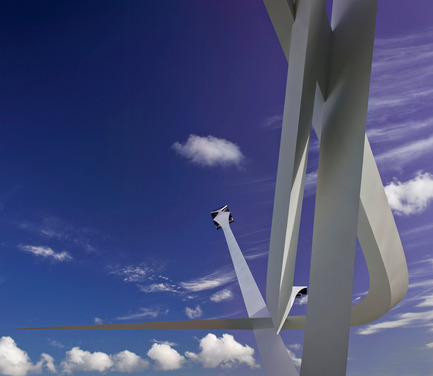 Gerry Judah was asked by BMW to come up with a sculpture, bigger and better than anything done before, to commemorate their centenary at Goodwood Festival of Speed in Chichester, West Sussex. 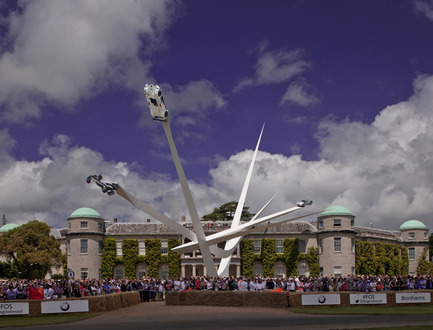 With over two hundred thousand visitors over one weekend, this is the global platform where the world’s most amazing motorsport machines are in evidence, static and dynamic. 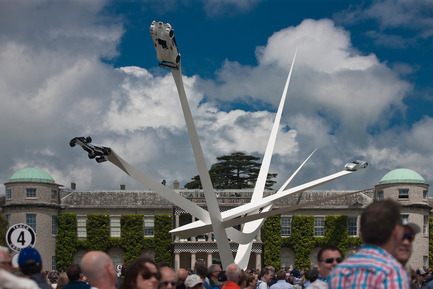 It is also where one can see a sculpture that each year is different, dramatic, exciting, uncompromising and quite frankly, spectacular! 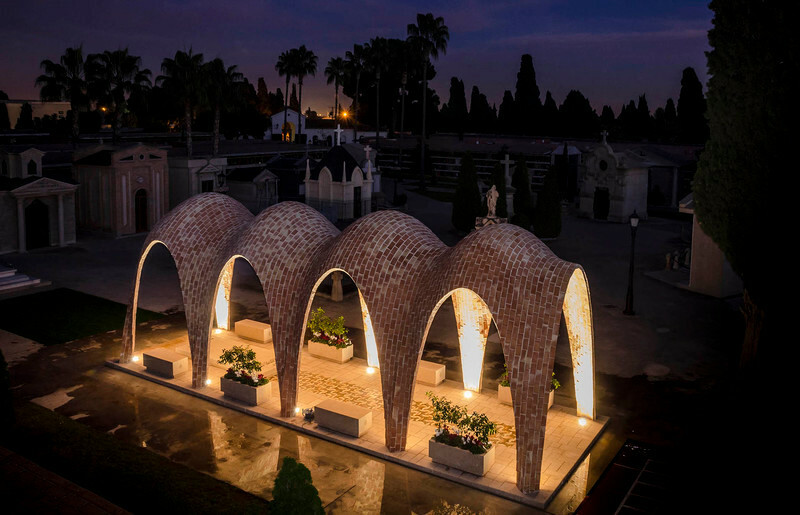 All designed for the past 19 years by Judah himself. 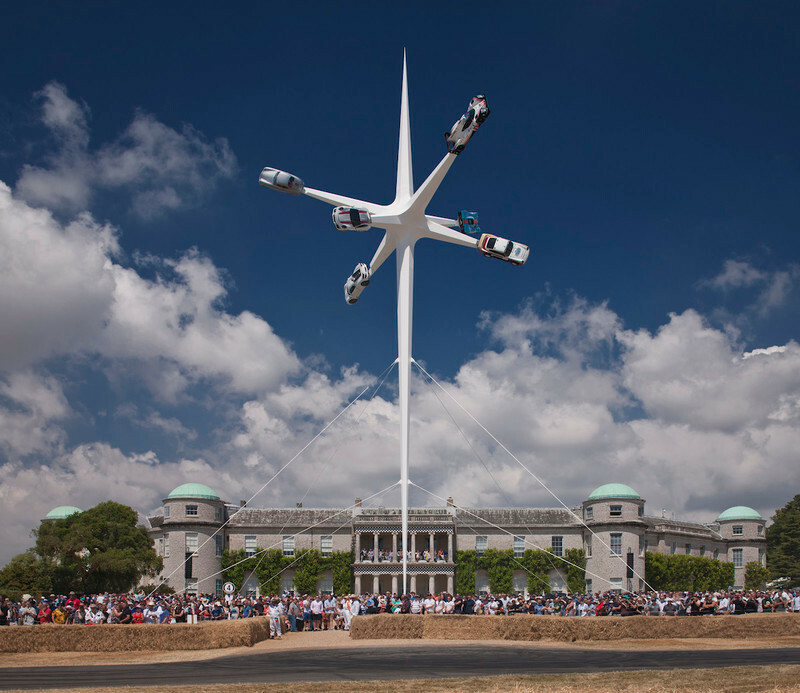 Being no stranger to large-scale sculptures, two of which are displayed in the nave of St Paul’s Cathedral in London to commemorate the centenary of the First World War, Gerry Judah has commemorated BMW’s centenary through their motorsport achievements. 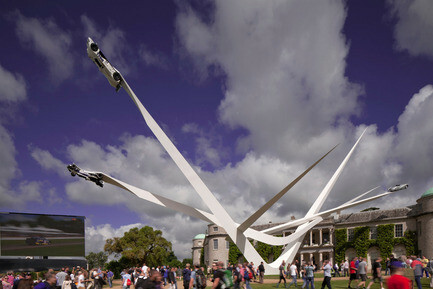 100 metres long and 40 metres high, the sculpture features a BMW 328 Mille Miglia Roadster, Brabham-BMW BT52 F1 car and the 1999 Le Mans-winning BMW V12 LMR and are original working vehicles, not models. 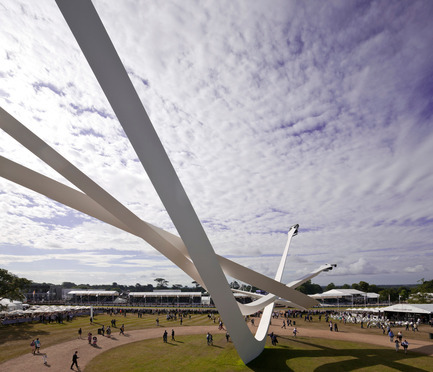 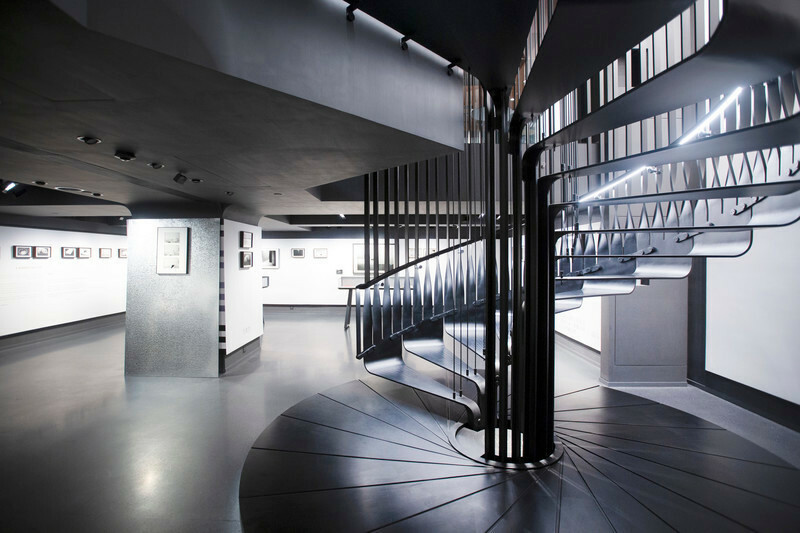 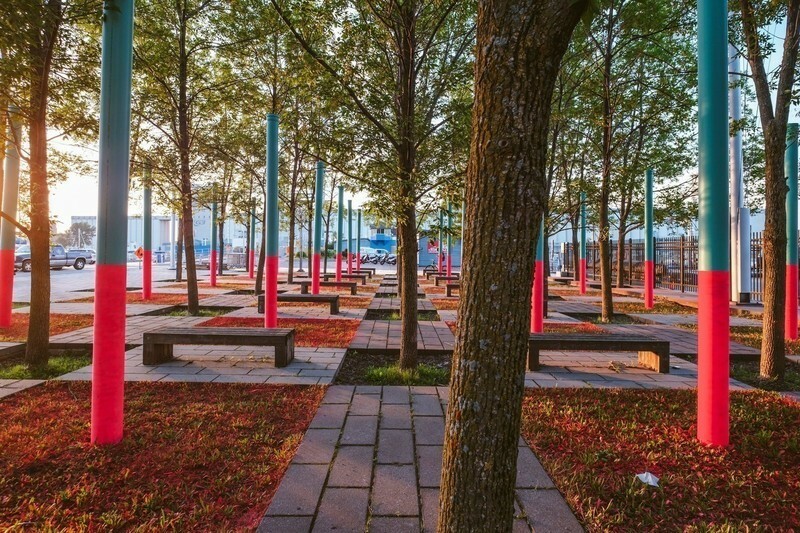 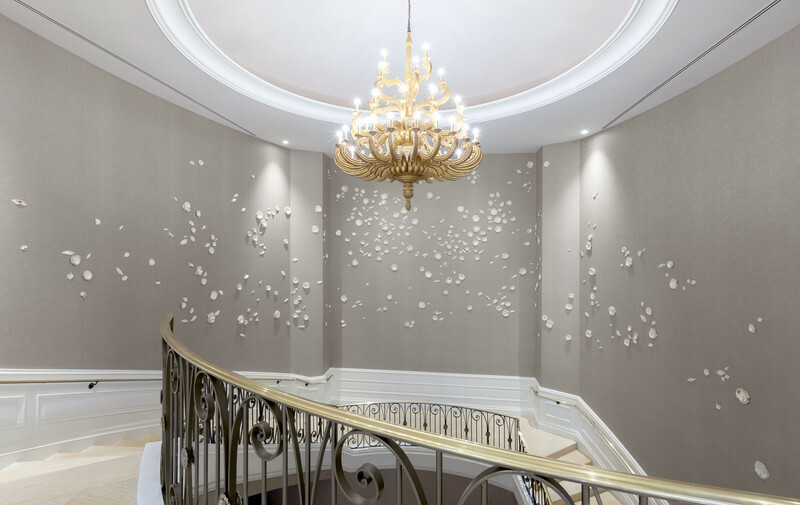 It is 100 metres long and 40 metres high and is a monocoque shell made up from 816 square metres of laser-cut steel plate, an area three times the size of a tennis court. 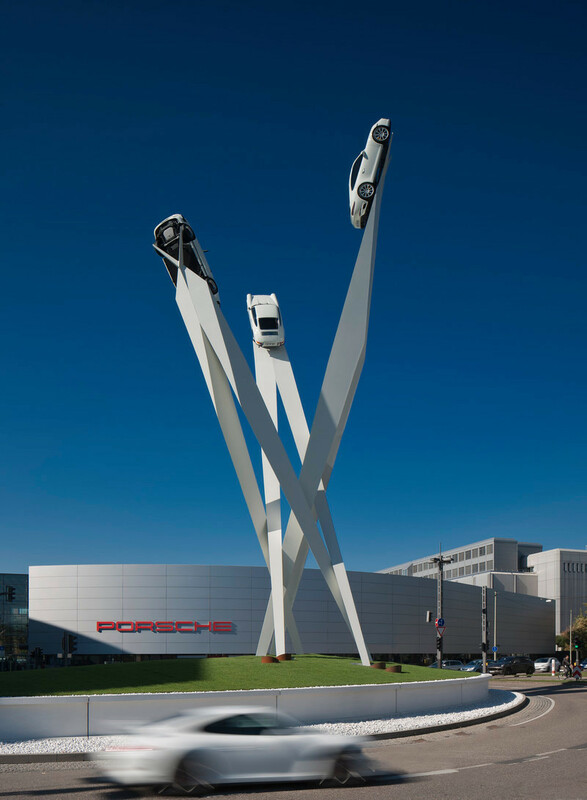 With enormous cantilevers supporting the three historic cars, the sculpture sits on a base only 70cm wide where it hits the ground. 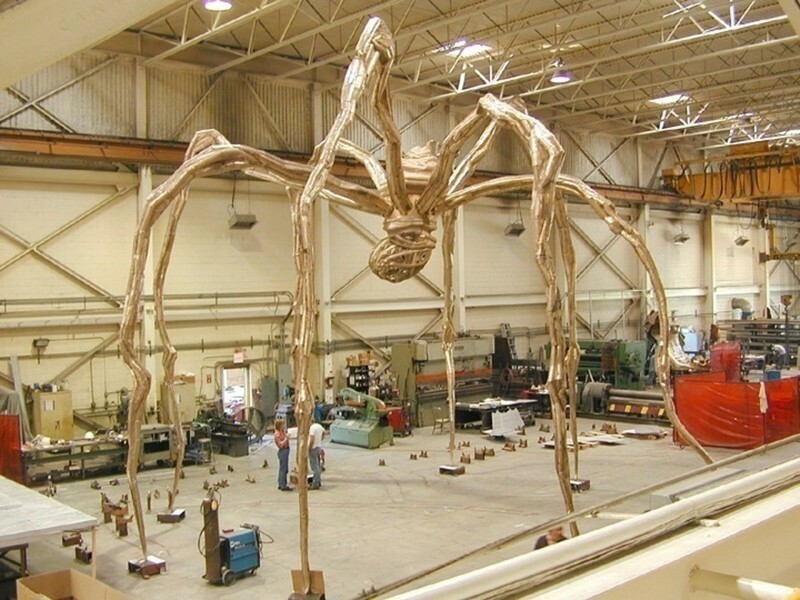 Weighing 77 tonnes, it is incredibly lightweight for its size.